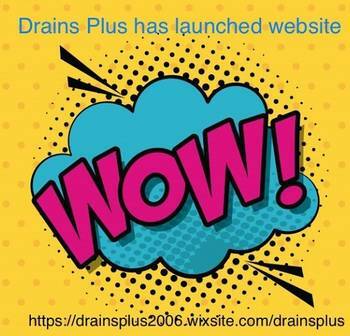 Our mission at Drains Plus is simple: to provide high-quality services for our valued clients. We been serving local Fairfield County residents and commercial clients since 2006. We are specialized in sewer/drain cleaning as well as light plumbing services and our team goes above and beyond to cater to each project’s specific needs. Through open communication and exceptional service, we hope you’ll find what you’re looking for with our Home Improvement Service. We value your business and strive towards client satisfaction every step of the way. For more information or general inquiries, get in touch today. Check out our related links. I have been involved the real estate business for more than 8 years, working mostly in the residential aspect. I learned the art of negotiating and developed my management skills while managing two veterinary practices in Norwalk, CT. I have been a top producing agent since making the career change. I have been the #1 agent in closed units in 2009 and #2 agent in closed units in 2011 for my office. I have also been awarded the CT Magazine 5 Start Top Realtor award for 2009, 2010 and 2011. Less than 6% of Realtors receive this award. As a member of our community, I am an active mentor for a high school, as well as, middle school student. I also have an interest in local and state politics. View your league's schedule to keep your team on track. A bustling ethnic neighborhood along Broad Street in New Britain is home to such a vibrant Polish population that it earned the nickname "Little Poland." Brewery strike in 1902 leads some to drink ginger ale, rather than beer, as a sign of solidarity.